SEO is a technique that can organically grow your business for results now and in the future. Search engine optimization (SEO) is a powerful technique that can take your business to a level that transcends and outshines the competition. Your schedule demands a dedicated SEO team. You’re running a business, which means you don’t have the time to do the leg work needed to locate search terms, track and revise content, and analyze competitors. That’s where we come in. Our results-driven team will ensure that your website is optimized to appeal to the customers you want. We take search engine optimization in San Antonio very seriously. We do this by creating a marketing strategy that is built around unique content creation while implementing SEO best practices. 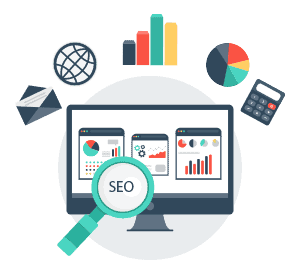 While we can’t guarantee a number-one ranking on Google, we promise to provide a search engine optimization San Antonio team dedicate to your business’s growth and strict adherence to Google and Bing quality guidelines. Our search engine optimization San Antonio-based services are customized to benefit your business within your industry. We know how to help your company not only gain more views, but get more conversions. Because let’s be honest, you don’t want more traffic—you want more business.